SILKYPIX Developer Studio 9 has same image processing engine as a higher version Pro 8. This image processing engine relaize high resolution by “Natural sharp” and improve gradation on highlighting. Therefore, this product has achieved the high image quality, such as high color separation performance and excellent noise reduction. 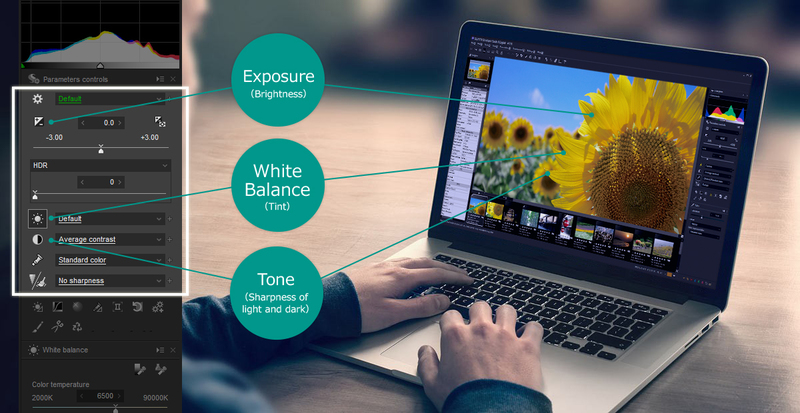 Further it has a powerful correction functions, such as dust removal function and dodging / HDR. SILKYPIX Developer Studio 8 is the new standard for easy-to-use RAW development software. A problem that the parameters of "Monochrome controller" recorded in the developed JPEG or TIFF could not be read using "Load development parameters"